Boat purchased in 1970 for $45….at Bellevue Washington. 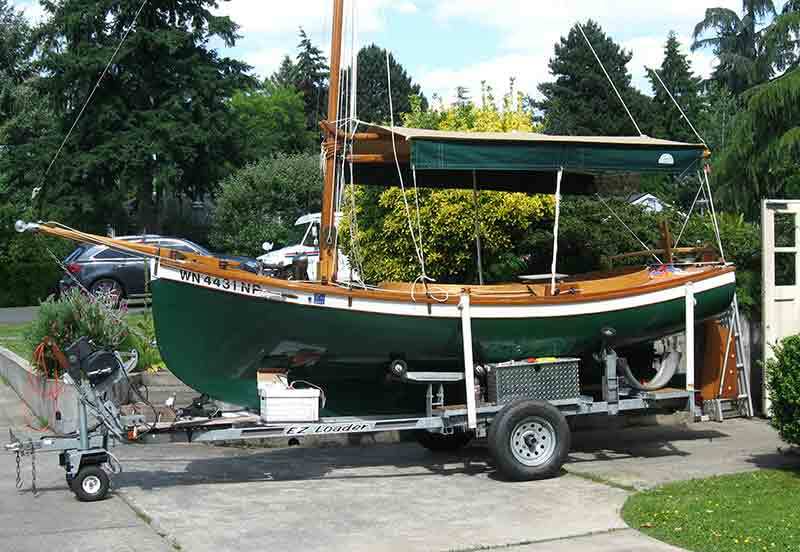 My father had a vision for the Poulsbo boat to become a jaunty sailboat. The attractive lines were decked and an an engine house built by Jensen Motor Boat Co. Many complications ensued as the air cooled engine was boxed. An un weighted keel was added but she sails very top heavy. My father put in 38 years tinkering, making spars, collecting brass goodies and boat yard friendships. I have spent the last 8 years putting the parts together. It has been a fun project with some sailing adventures yet to come.